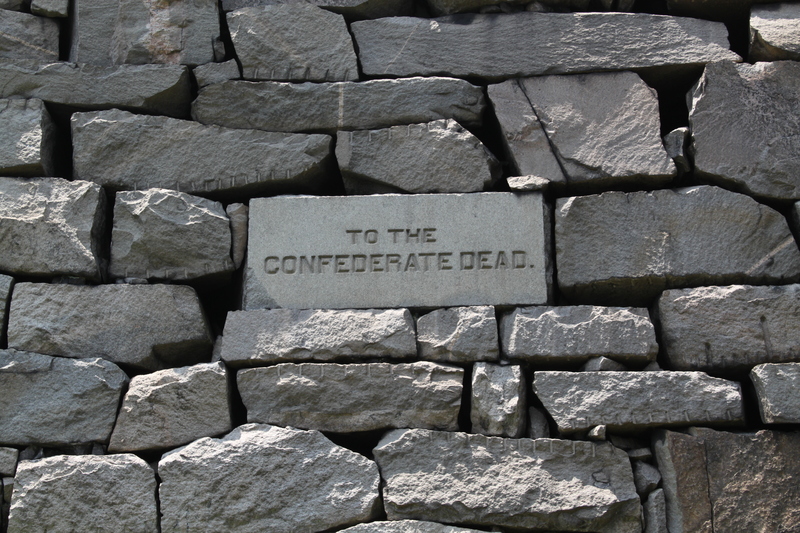 I never posted about the massive Confederate monument in Hollywood Cemetery during my series at Gettysburg Daily. That makes this post the first of the “lost episodes”. 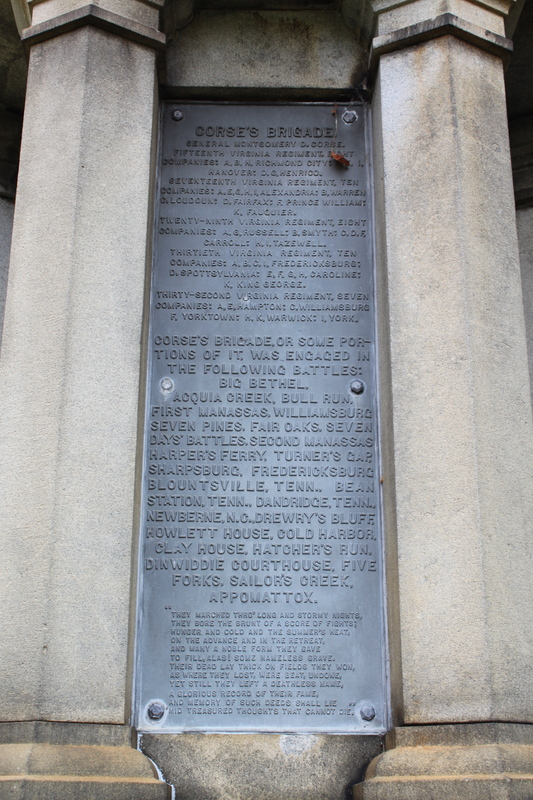 South of Gettysburg Hill is a giant monument to the Confederate dead that was erected by the Hollywood Memorial Association in 1869. 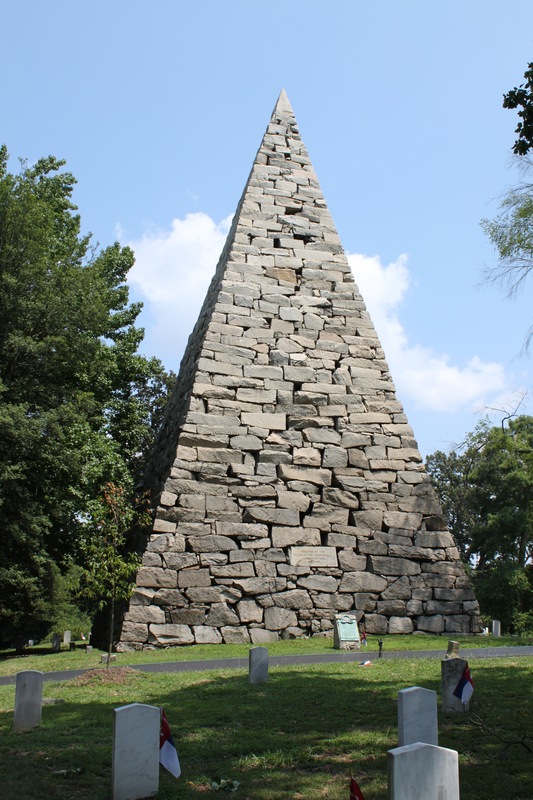 It’s a 90-foot, 4-sided stone pyramid on top of a hill. It makes for a very hard-to-miss landmark. 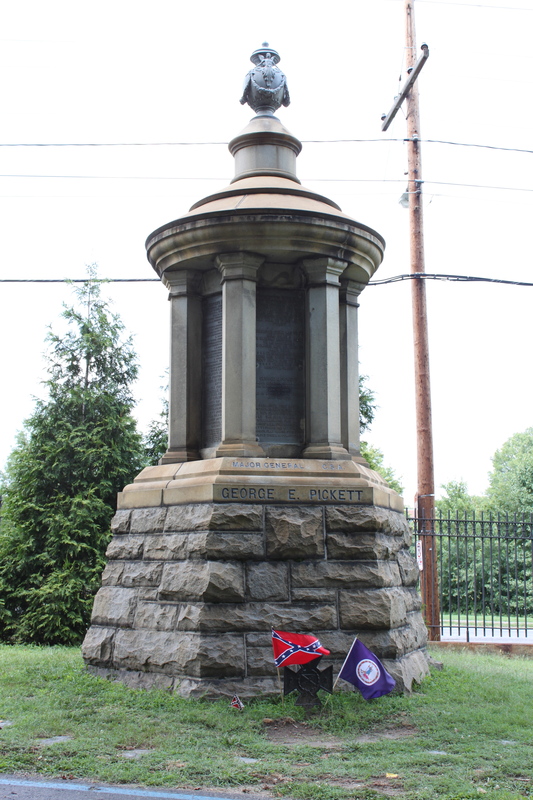 The Confederate Pyramid. Photo by John Dolan. 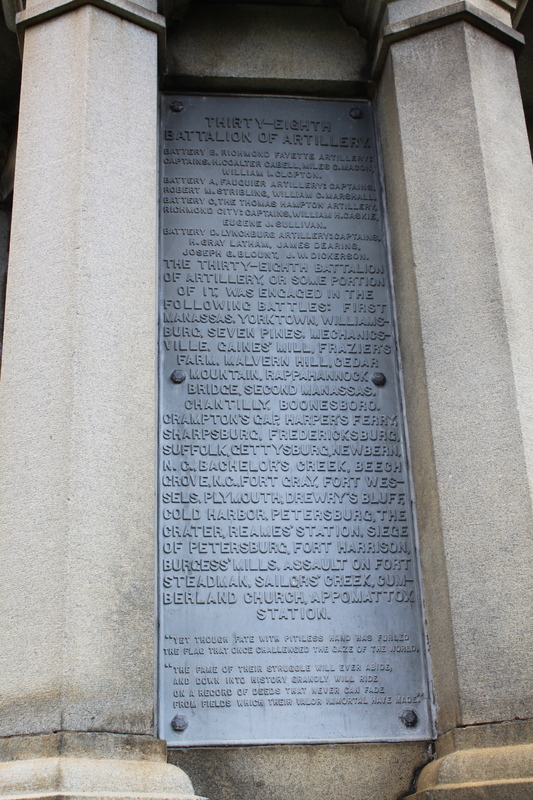 The inscription dedicating the monument. Photo by John Dolan. As I said above, the pyramid is located just south of Gettysburg Hill, and is plainly visible on satellite photos. It’s that big. The Confederate Pyramid is located inside the red box. In the short video below, I give a description of the monument and tell one of the stories people tell of how it was built. Next time, we’ll showcase another landmark in Hollywood Cemetery from the “lost episodes” archive. 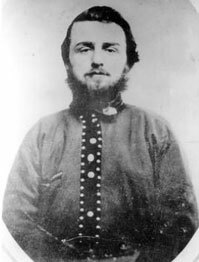 Most Gettysburg nerds have heard of Wesley Culp – the boy from Gettysburg who went south and fought for the Confederacy. 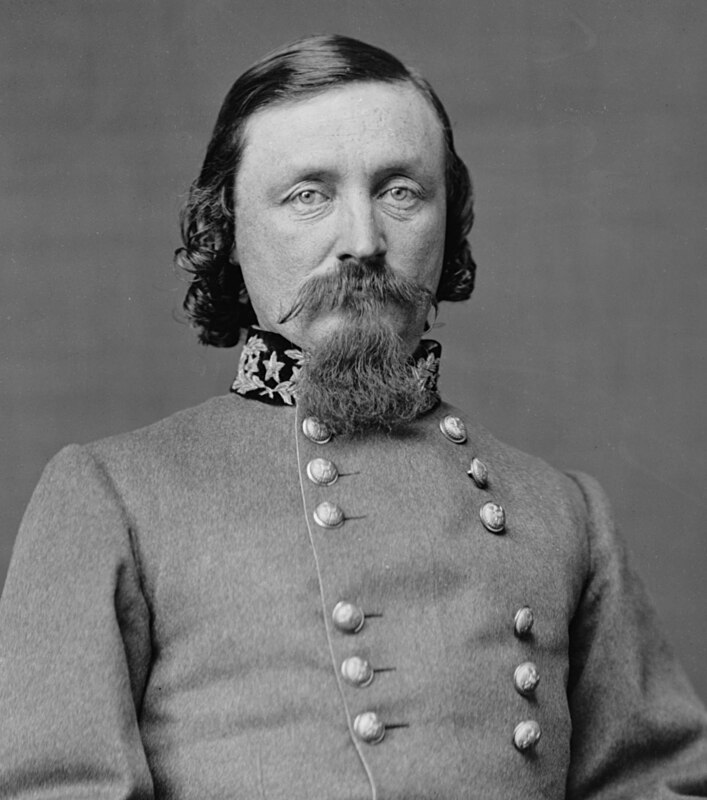 The story is that he was killed on Culp’s Hill (owned by members of his family) during the battle some time between July 2nd and 3rd, 1863. 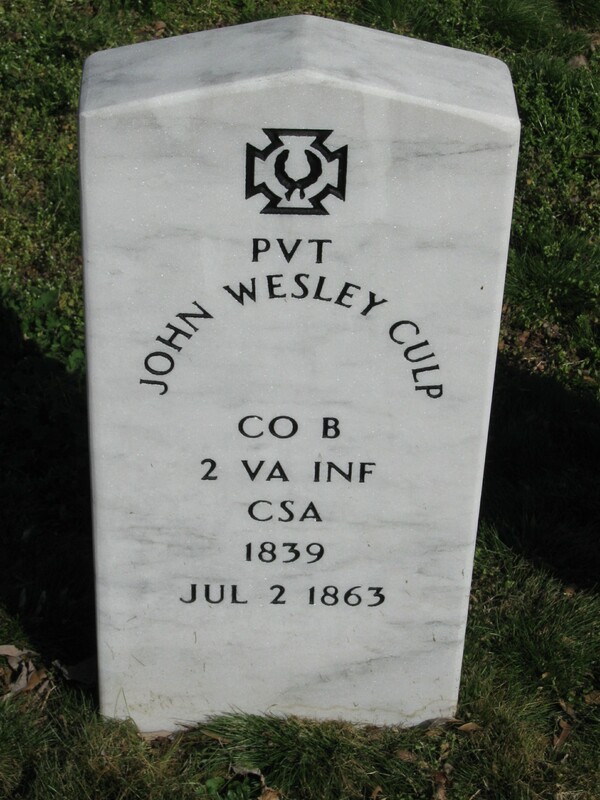 The marker for John Wesley Culp. 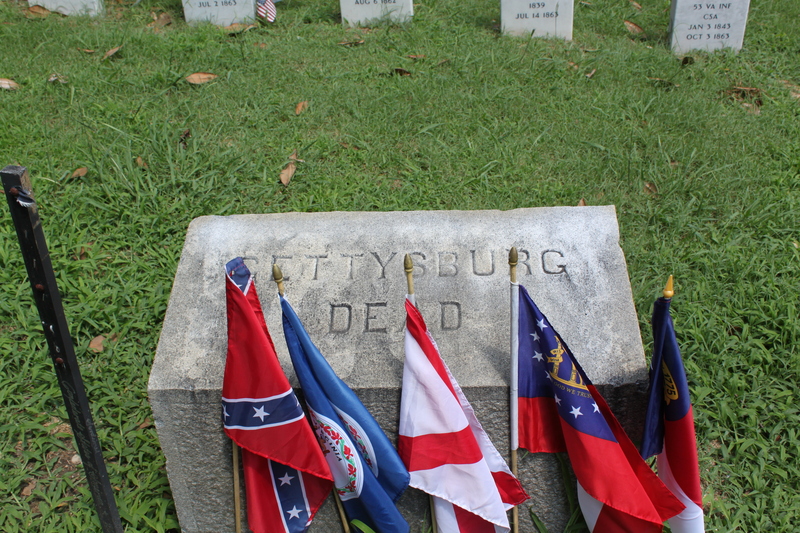 Photo by Scott L. Mingus, Sr.
John Wesley Culp’s marker is located at the red square. 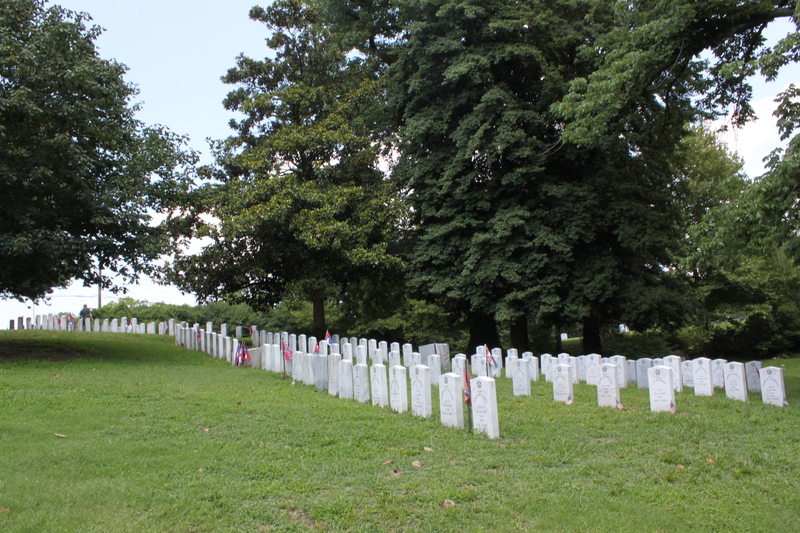 Video by George SkillmanIn the next installment, we’re going to move away from the Gettysburg Hill section of the cemetery and explore some of the other notable landmarks. 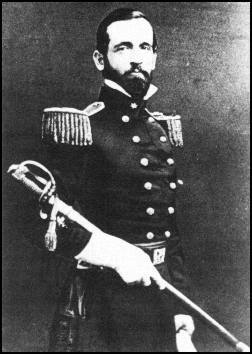 knows the story of Brigadier General Richard Brooke Garnett (or at least an interpretation of it). The fact of the matter is that he is shrouded in some mystery. But there’s some thought (spurned on by members of the Garnett family, I think) that perhaps this was a photo of his cousin, Brig. 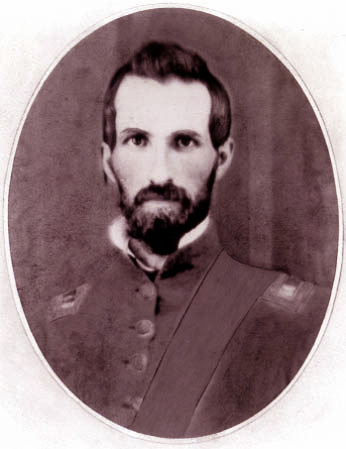 Gen. Robert S. Garnett, the first general killed during the Civil War. Apparently the two men had very similar features. Is this Richard B. Garnett, and not Franklin Gardner? Yet another mystery surrounds the whereabouts of his remains. 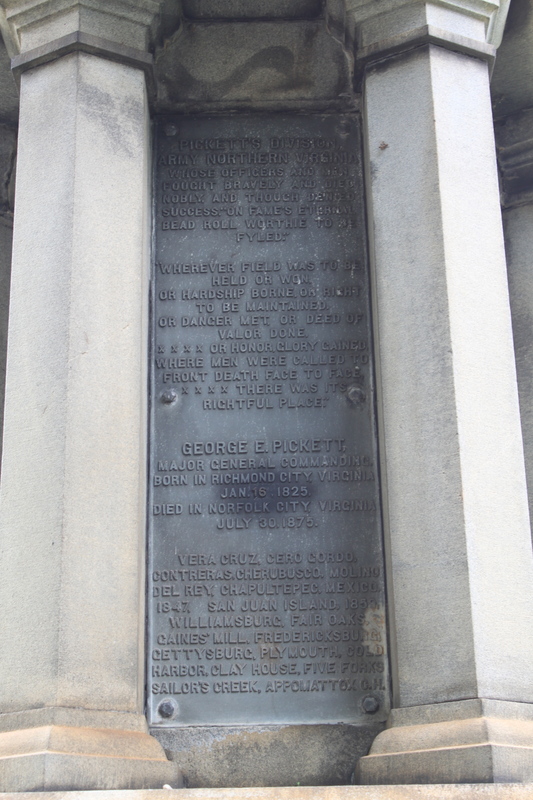 As I explain in the video below, none of the Union burial details ever made note of finding the remains of a General among the Pickett’s Charge dead. The monument to Richard Brooke Garnett is located at the red square. His “headstone” itself is also unique. 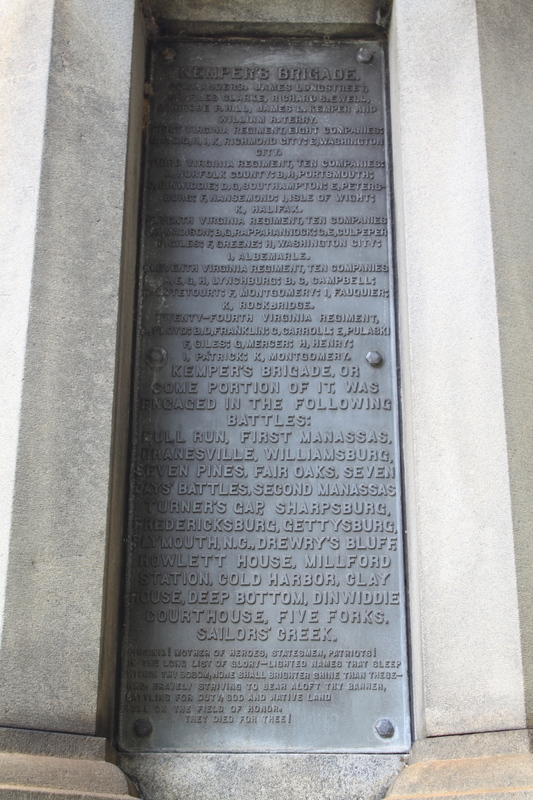 Since the whereabouts of his remains is unknown, it’s more of a memorial than an actual marker. 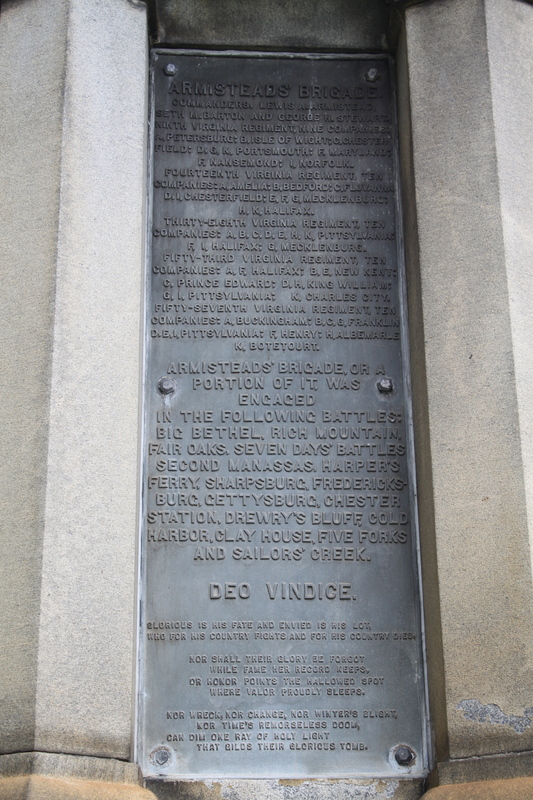 It was placed here (as it says) by family and friends in the 1990s. 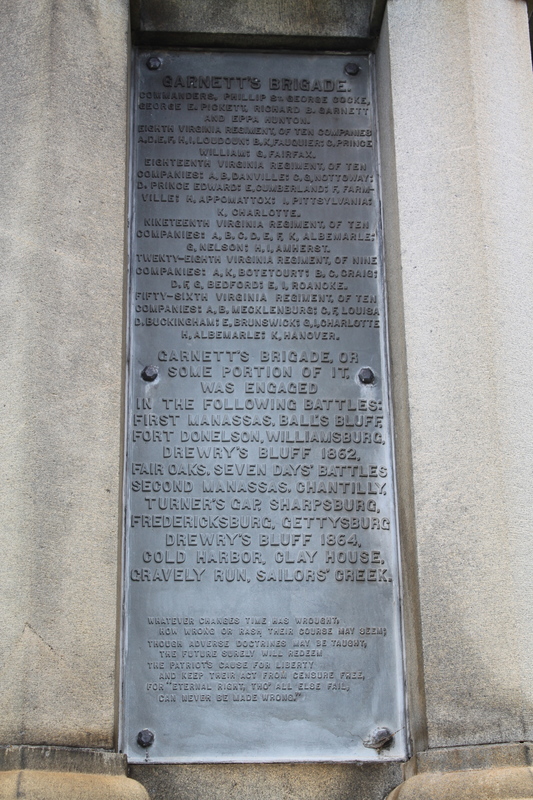 The front of Richard B. Garnett’s monument. Photo by John Dolan. 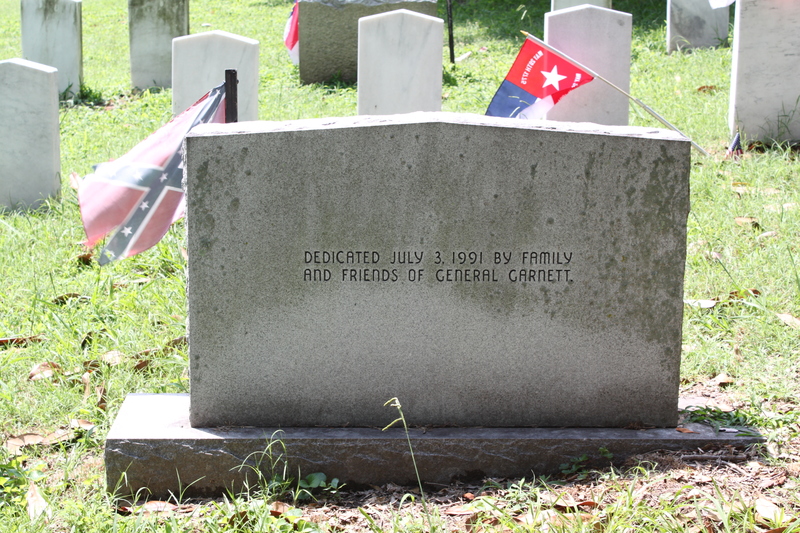 The back of Richard B. Garnett’s monument. Photo by John Dolan. 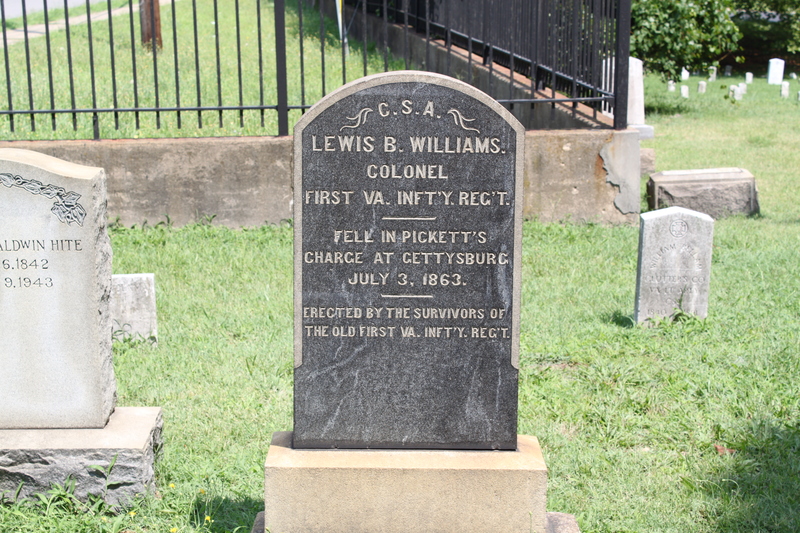 In the next installment, we’ll highlight another mysterious “burial” on Gettysburg Hill. 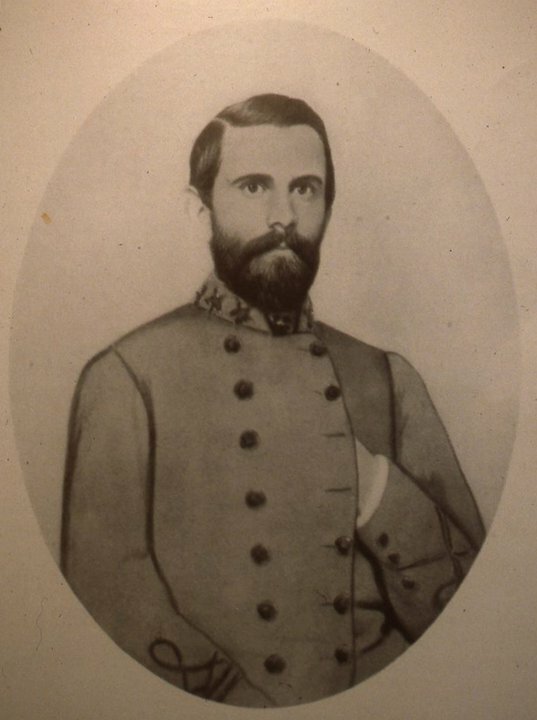 Another of Pickett’s officers that was involved on July 3, 1863 was Lt. 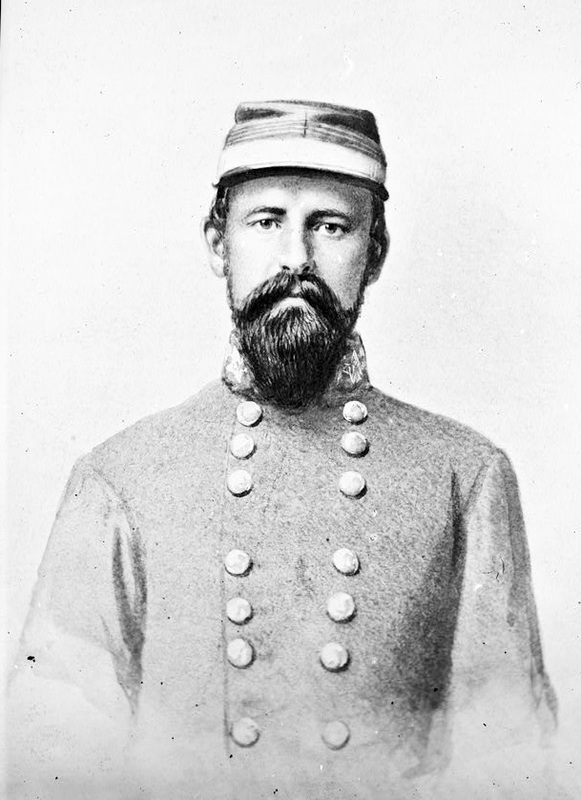 Colonel John T. Ellis of the 19th VA Infantry. 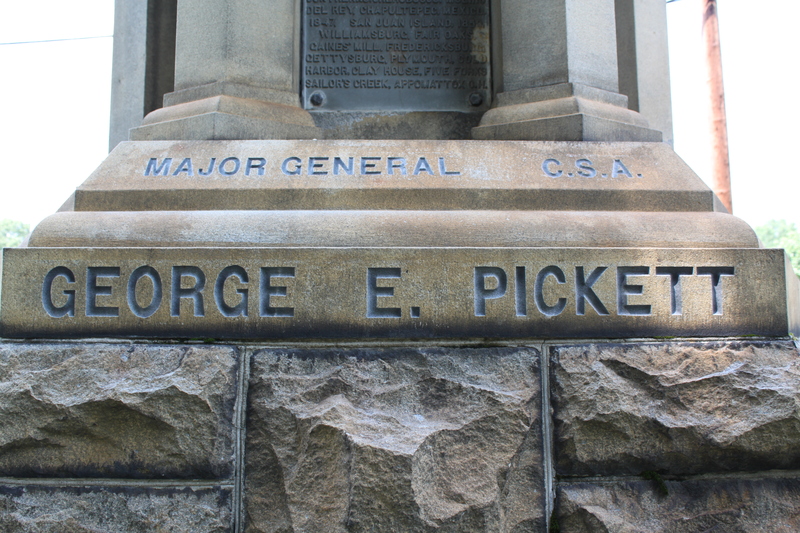 He didn’t participate in the attack itself though, because he was killed shortly before Pickett’s division set out across the field. 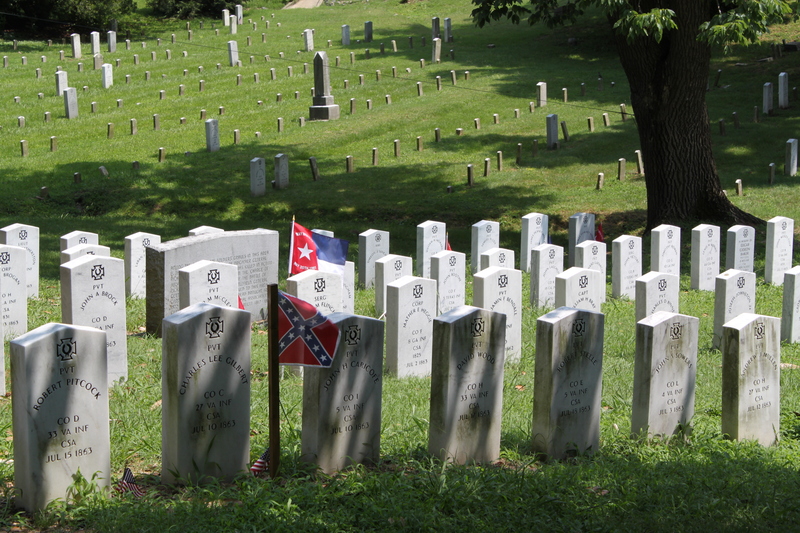 Ellis is buried at Hollywood Cemetery in the Gettysburg Hill section, just a short way down the hill from General Pickett himself. The grave of John Thomas Ellis is marked by the red square. In the video below, I give a very brief biography of Lt. Col. Ellis and explain how he was killed. 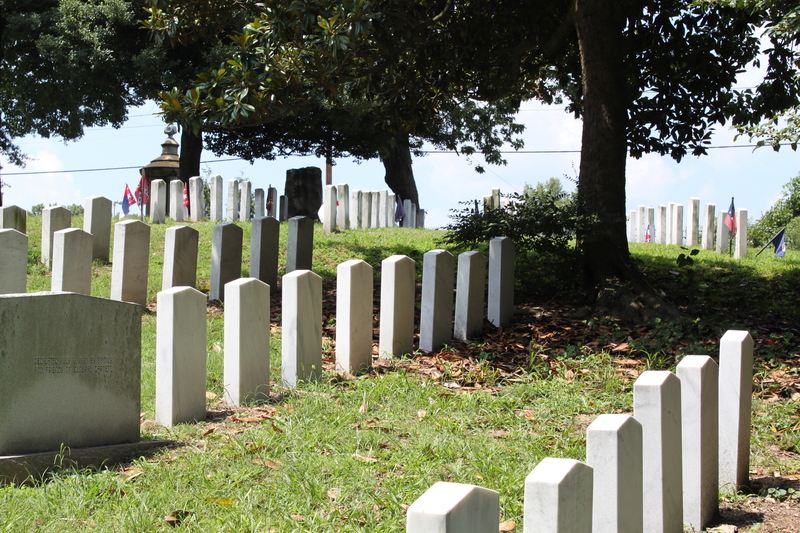 Video by George SkillmanAnd of course, we have a close-up shot of Lt. Col. Ellis’s headstone. One of many here on Gettysburg Hill. 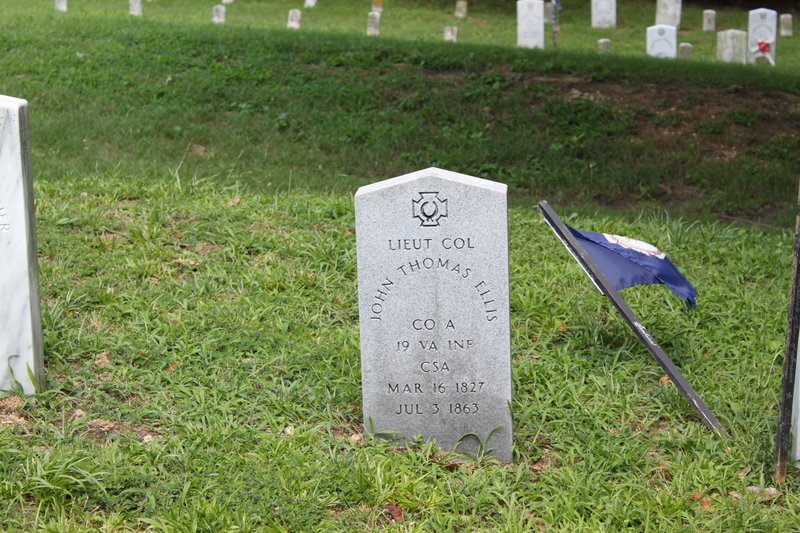 The headstone of Lt. Col. John T. Ellis. Photo by John Dolan. 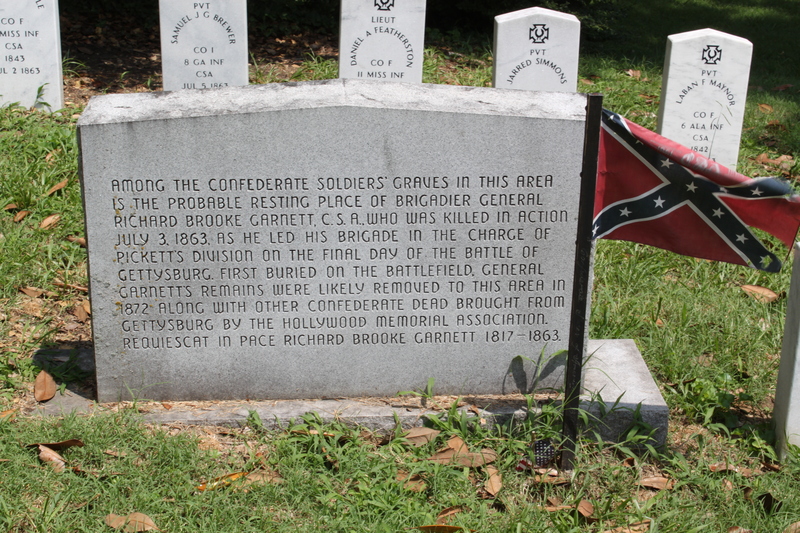 Next time, we’ll talk about another high-ranking officer in Pickett’s division who is likely to be buried here among his men.